One of the great benefits of Zen is that it can help cure us of the dualistic thinking the Western world inherited from Plato. Essentially, Plato posited that there’s an ideal somewhere (a transcended perfect archetype) out there and that everything else is a pale imitation of it. Think: Higher/Lower. Or Sacred/Profane. This type of thinking took a heavy toll on the Christian tradition, especially regarding artists. Musicians who were Christians had to play “Christian music,” which was usually defined as more sedate, Bible-word infused music that didn’t use electric instruments or drums. Or, back in the day of Classical composers (Bruckner, Mozart, Beethoven, Bach), the music had to somehow reflect the character and nature of the Christian ideology. It’s no wonder Handel’s “Messiah” was such a hit back then (1741), and remains so to this day. It fit the formula because it combined Classical music with King James Bible-infused lyrics. So you can imagine the uproar that ensued when the Jesus People movement spawned rock bands in the late 1960s/early 1970s. The bands rocked (no pun intended) people back on their heels. 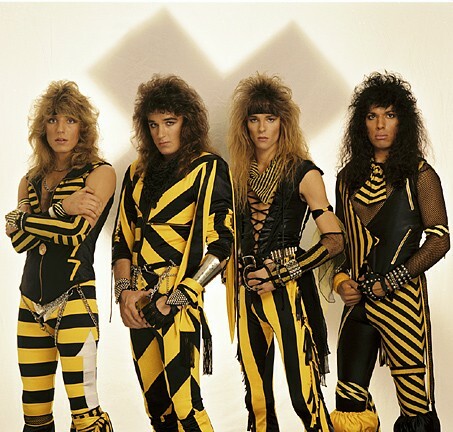 The situation became even more contentious when Christian metal bands emerged in the 1980s with the likes of Stryper, Rez Band, Barnabas, Bloodgood, Barren Cross, and others. Their heavy metal music (not to mention their long hair and makeup) did not fly with conservative Christian pastors and their congregations. Protests ensued, as did record burnings. This splitting of reality into good/evil or higher/lower or sacred/profane forced people to make choices, either this way…or that. Life in most Christian communities is still a perpetual either/or choice. Black and white. Right or wrong. Sadly, Buddhists are not immune from this type of thinking, either. Buddhists make these either/or choices all the time, only about Buddhist subjects: Either Korean Zen or Japanese Zen. Either Chinese Zen or Pure-Land Zen. Either this teacher or that one. Either this political candidate or that one. Either Democrat or Republican. Either Liberal or Conservative. Either FOX News or CNN. Either vegetarian or carnivore. Either Theravada or Mahayana. Either Mahayana or Vajrayana. Either Tibetan or…? Buddhists cannot claim any more wisdom or insight than Christians because the attachment to either/or (Platonic) thinking is powerful. I see it right here on Facebook every single time I log on. It takes a long time – perhaps even a lifetime – to understand reality is one, not two. 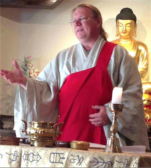 It takes sitting for many years with the “form-emptiness” of the Heart Sutra. It takes…? What? What does it take? That likely depends on each individual practitioner. It’s not for me to say what it takes. My practice consists of striving to rid myself of attachments, of viewing the world without separating it into good/bad, right/wrong, spiritual/non-spiritual, of embracing fellow human beings whoever and whatever they are, of being as kind to those who support President Trump as Ii was to those who supported President Obama, of sitting with “form-emptiness” until I attain oneness with all that is. It’s a constant struggle for me, I can assure you. I’m as chock full of opinions and attachments as the next person. But, for me, it’s worth the effort. I want to be a Bodhisattva, able to ask, “How may I help you?” to everyone and everything I encounter. And I find that extremely difficult when I see the world through either/or eyes. If you see the Plato, kill the Plato.